​Congratulating Mollie Weitz on the lease of Woodland's Raincloud! 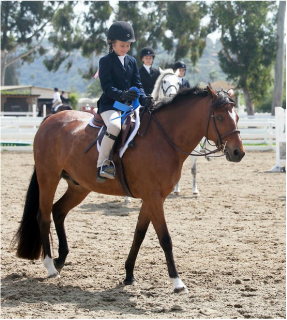 Watch out for these two in the Walk Trot division! 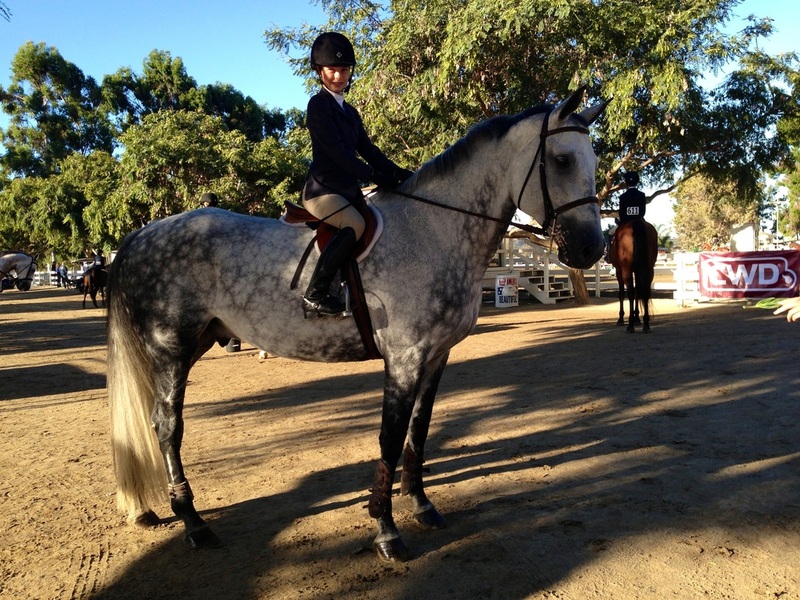 ​​Lindsey Klein & Econtador capture Reserve Champion at the USHJA 3'3'' Jump Seat Medal Finals in San Juan Capistrano! ​Congratulating Molly Hutchison on the lease of Crazy In Love! Looking forward to a successful year! 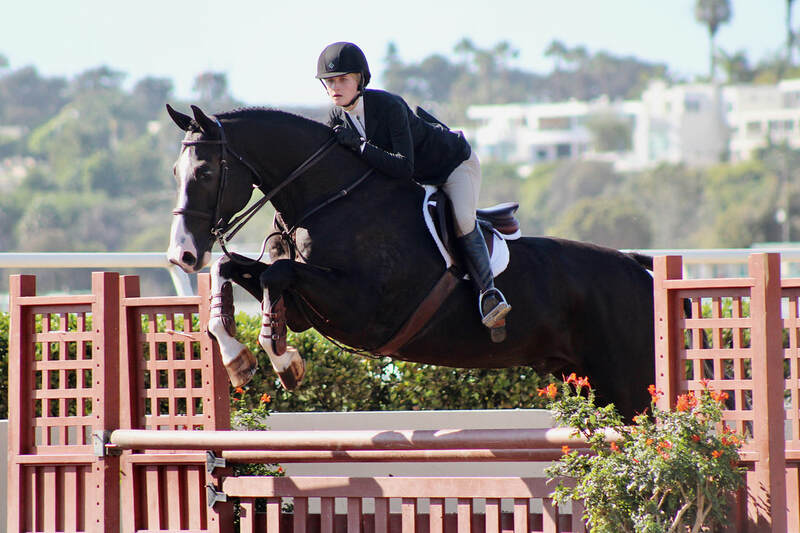 ​Congratulations to Addie Flanagan on the purchase of Cassius! ​Congratulations to Eva Denecke on the purchase of Graffiti! Can't wait to see you two strut your stuff in the equitation ring these next few years! Congratulations to Faith Young on the purchase of Delgado 47! So happy we are able to keep this great horse in the barn! ​So excited to watch these two grow and learn together! Congratulations Molly Hutchison on the purchase of Belarus! Such a sweet and talented horse from Anee Churchill at Futurity Farms! ​A very special congratulations to Sofia Quanbeck on the purchase of Phoenix! 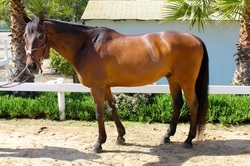 Another great gelding from Jonelle Ramsay at Ramsay Equine Select! 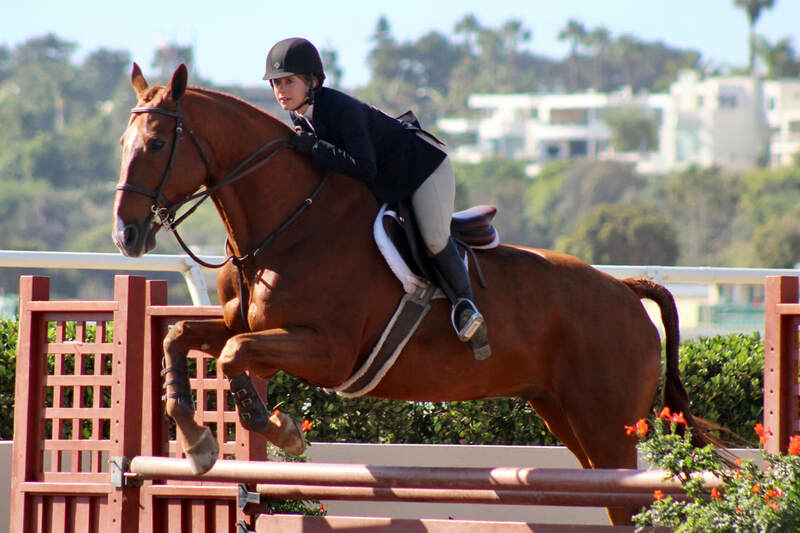 Congratulations Alexandra Hedrick on the lease of Cartier! Special thanks to Jonelle Ramsay at Ramsay Equine Select! Congratulations to Kate Zimmer on the recent purchase of Gidins! ​A special thanks to Kam and Michael at European Sport Horses! ​Congratulations to Megan Witt on the purchase of Black Tie! We absolutely adore this handsome boy! ​Thanks to Jonelle Ramsay at Ramsay Equine Select! ​Congratulations to Saumya Khanna on the lease of Don Barbara! 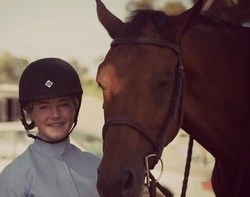 Looking forward to seeing you both in the jumper ring! Congratulations to Molly Hutchison on the purchase of Bon Vivant! Thank you Courtney Hurley for this quality mare! 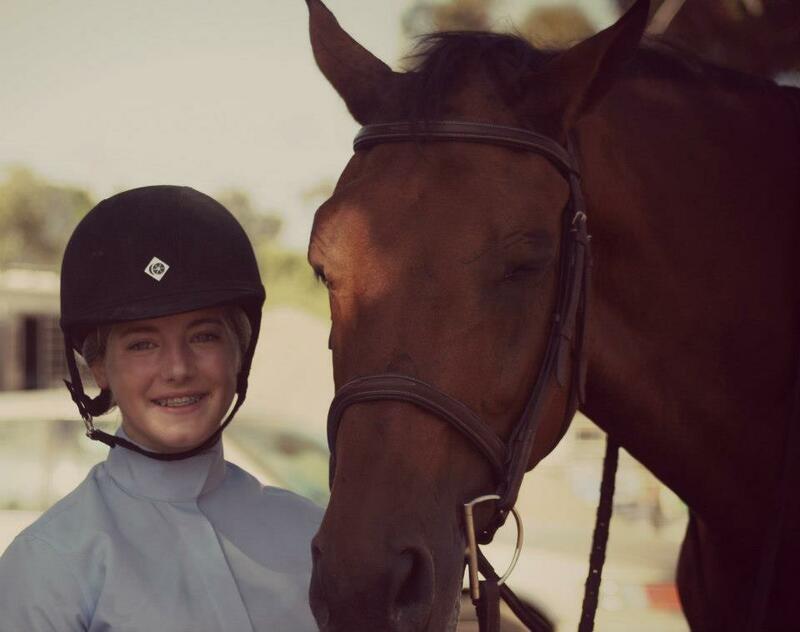 ​We would like to congratulate Bailey Dempster on the purchase of her first horse Valentino! He is a lucky boy to find such a loving home! ​Congratulations to the Wagner Family on the purchase of Alpine's Finest Hour! A special thanks to Hidden Hill Farm! Congratulations Shannon Nugent on the purchase of Tinkas Boy! We highly recommend Michael Mildner of European Sporthorses for anyone seeking a quality prospect! Maggie Farrell found her prince this week! Congratulations on the purchase of Aladdin! Special thanks to Allison Mundo for helping make this match! 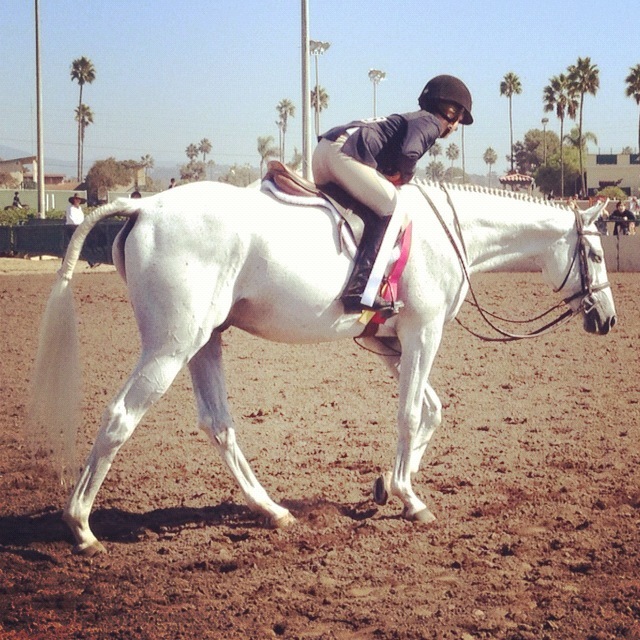 Congratulations Alexandra Hedrick on the purchase of your first horse Silver Lining! 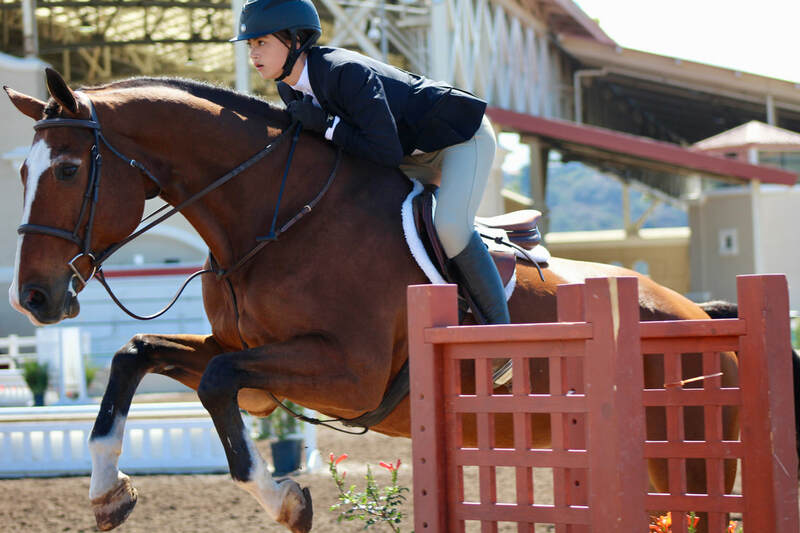 Lindsey Klein will be stepping into the ring with her partner, Winston. Looking forward to a successful year! Victoria Ley's new import, Caprio 33. He's on his way to becoming a super star! Shannon Nugent is the proud new owner of Oboras Split! 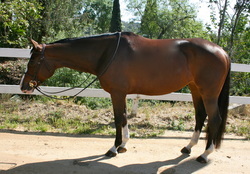 We are so excited to start his career in the States in the PreGreen Hunters! Special thanks to Michael Mildner with European Sporthorses! 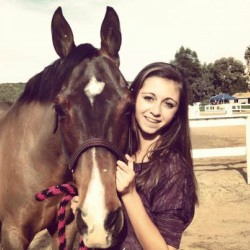 We would like to welcome Alexandra Hedrick to the barn and congratulate her on the lease of Catwalk! So glad to have you join our team! 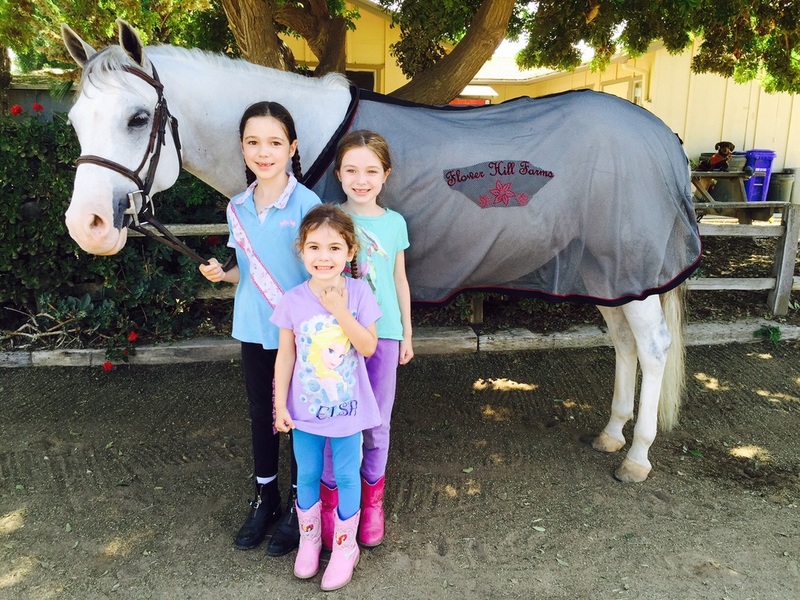 Congratulations to Kathleen, Megan, & Laura Tadlock on their purchase of their second pony Silver Screen! 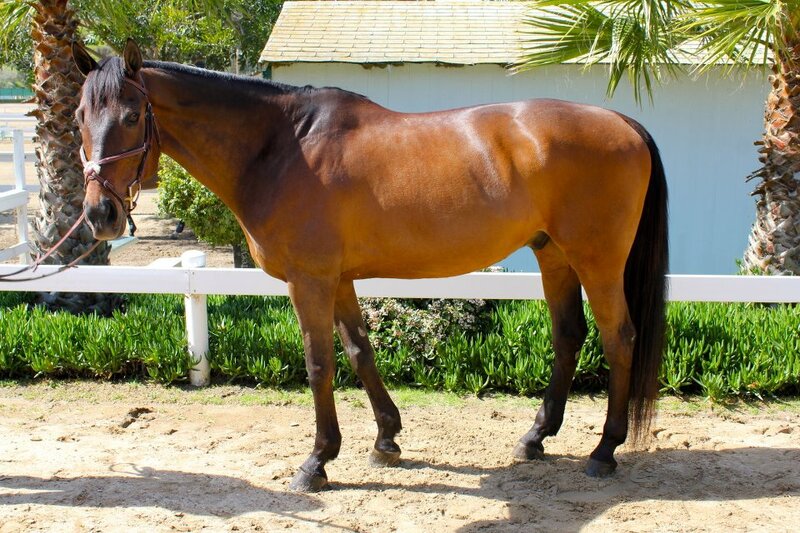 Special thanks to Amanda Tallman for giving us the opportunity to purchase Hollywood! We would like to welcome Hannah & Elianna Kim to our barn and congratulate them on their lease of Splenda! 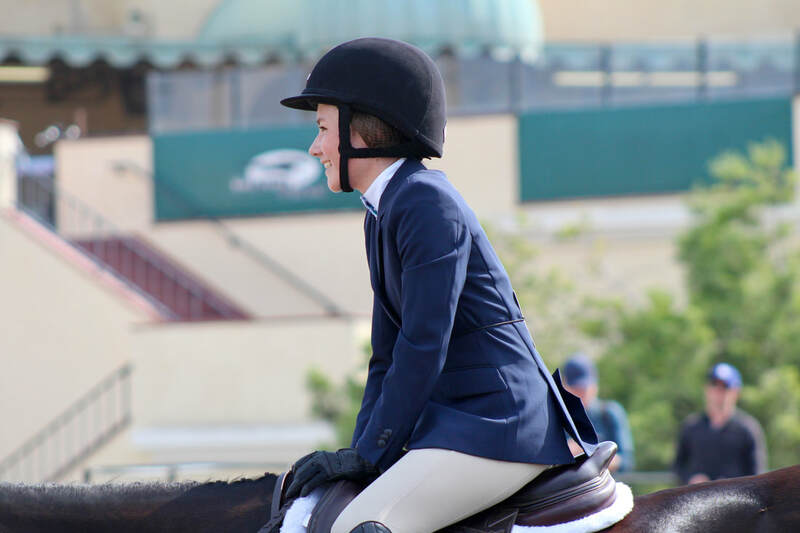 Looking forward to Hannah's debut in the Jumpers and Elianna's debut in the Walk-Trot! Alexis Sokolov on your purchase of Stanwick. Special thanks to Jeni Brown and Tarah Wolf for allowing us the opportunity to own this wonderful gelding! Casey Thatcher on your purchase of Leon. Thank you goes to Noelle Roberts of Delecreme Farms! Jenna Frakes on your purchase of Chapman. Special thanks to Lauren Bradley and Diana Yeater! Layla Mac on the lease of Catapult. Special thanks to the Bitter Family! Jessie Rechs on the lease of Fenix. 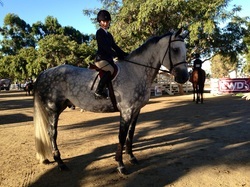 Nancy Kral & Relativity "Einstein"
Big congratulations to Skylar Wagner on your new pony Why Not! You guys have had a great start to your show season! FHF would like to welcome Winston and Victoria Ley to the barn! We are so happy to have you! Congrats to Kathleen, Megan and Laura on your purchase of Sidekick! Jack is a lucky boy to have you three as his partners in crime! We would also like to welcome Believe You Me "PJ" to the barn! Owned and loved by Alexis Sokolov! Abby Dumrauf: Great rounds in the Crossrail Hunters! Amy Wagner: A great start to your show career! 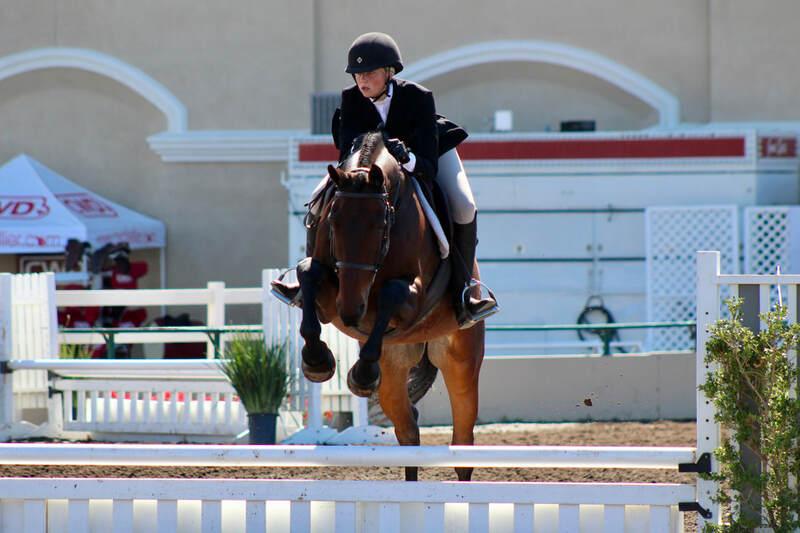 Morgan Pendergrass: Lots of success on Booked on Credit and their first show season together! 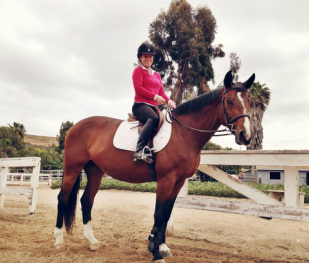 Molly Hutchison on your purchase of Finesse! 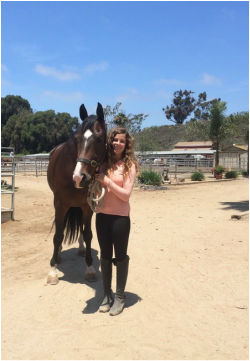 A special thanks to Bethany Unwin at Shoreline stables for providing us with this special mare! Amy Wagner on your purchase of Silver Lining! A special thanks to Clare Warren of Archway Equestrian Sports for this wonderful addition to our barn. We are so lucky to have him! Shannon Nugent on your purchase of CR Lena! Looking forward to seeing you two in the A/A's this season! Skylar Wagner on your purchase of Sidekick! Jack is so lucky to have found a best friend like you! Ashley Kent on your purchase of The Statesman! Ashley Kent was reserve champion in the Short Stirrup Eq Flat along with many other ribbons and great rounds on Serendippity! 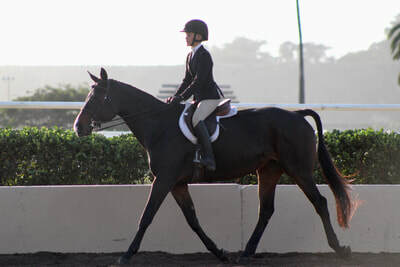 Skyler Wagner also rocked it in the Walk Trot aboard Serendippity! 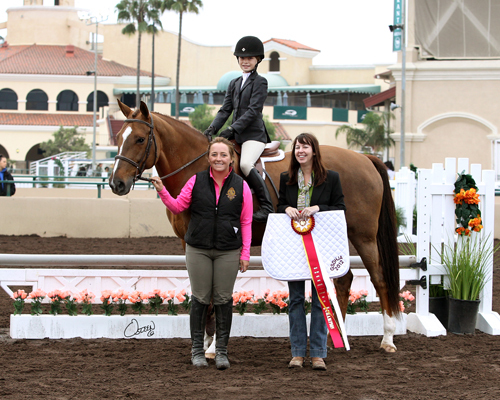 Casey Thatcher was champion in the Low Childrens U/S a on Catwalk and had many impressive rounds on Quintessential. Quinn finished 7th in the Hunter Derby out of many! 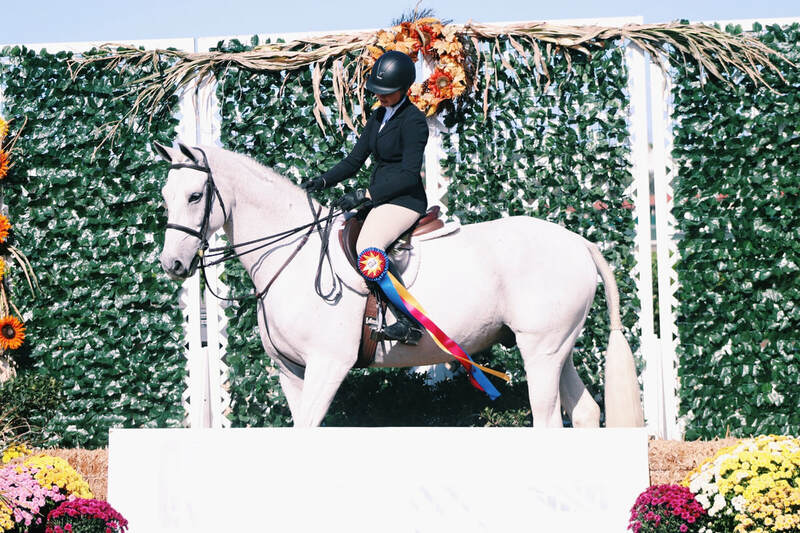 Jessie Rechs was champion in the Short Stirrup Classic, reserve champion in the Green Rider Classic, and reserve champion in the Novice Eq Over Fences aboard FDF Confetti! Margaret Farrell and Rezidaa were champion in the Short Stirrup U/S and reserve champion in the Green Rider U/S! Rezidaa also finished 7th in the GSDHJA Hunter Derby! Jenna Frakes was champion in the Green Rider U/S on Catwalk and reserve champion in the Green Rider Eq Over Fences on Mr. Smitten! 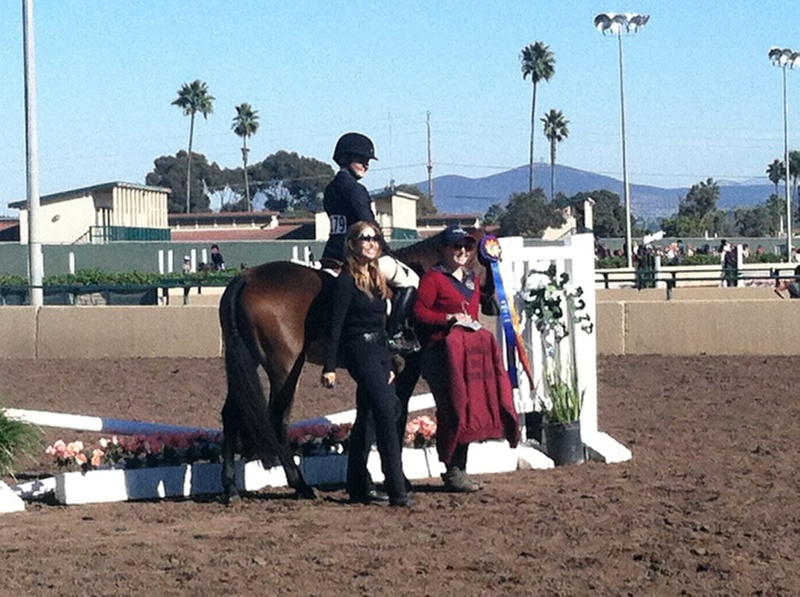 Sara Poleno was champion of the GSDHJA Green Rider Medal! 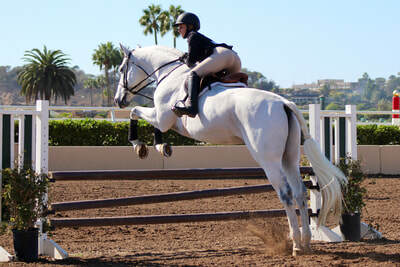 She was also champion in the Maiden Eq Over Fences on her mount, Cosmopolitan. Alexis Sokolov and True North was champion of the Pony Hunter Classic with two impressive scores of 84! 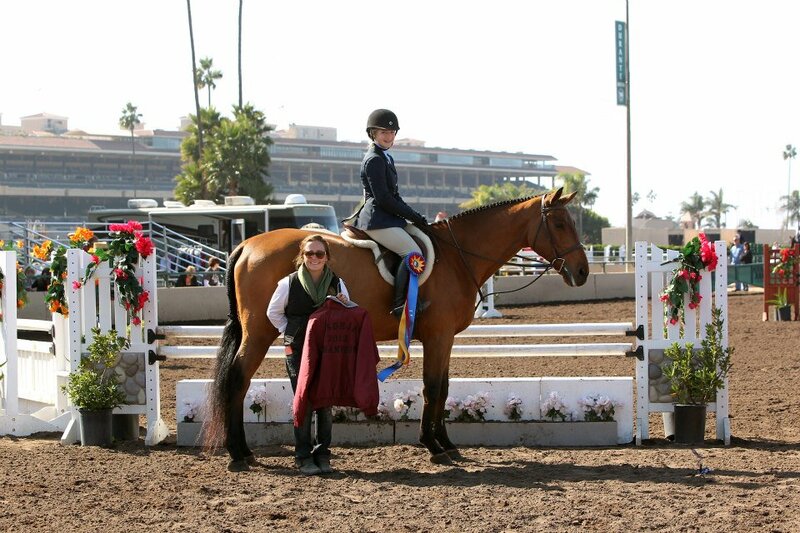 Alexis and her pony were also champions of the Green Rider Classic. Christine Wastila and Remember Me had a successful show with champions in the Crossrail Eq Over Fences, Crossrail Eq on the flat and Long Stirrup Eq on the flat! Saumya Khanna was champion of the Green Rider Eq Over Fences aboard Mirlo! 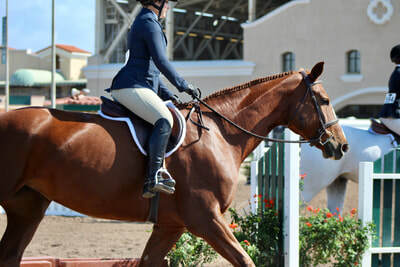 Special thanks to Diana Yeater and Gabi Turner for letting us show this wonderful horse! Abby Dumrauf and Catwalk had an incredible week finishing Champion in the Crossrail 2x Around U/S, Reserve Champion in the Crossrail Course U/S, and third in the Crossrail Course Classic. Molly Hutchison and Midnight Snack had many great rounds and ended up 3rd in the Crossrail Classic! Ciara O'Shea and Heads Up also had several awesome rides in the Crossrails! 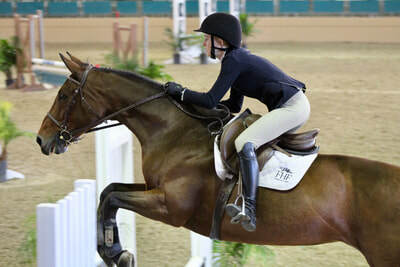 Kari Waxler and Luminous finished 8th in the Low Childrens Jumpers out of tons of horses. Awesome job! Flower Hill Farms' also won the annual Best Set-up and Tack Room Award!! Jessie Rechs on your purchase of FDF Confetti! Thank you Liza Applebaum at Full Circle Farms and Morgan Pendergrass. Margaret Farrell on your purchase of Rezidaa! A special thanks to OceanCrest Farms and the Stuart Family for this wonderful mare. 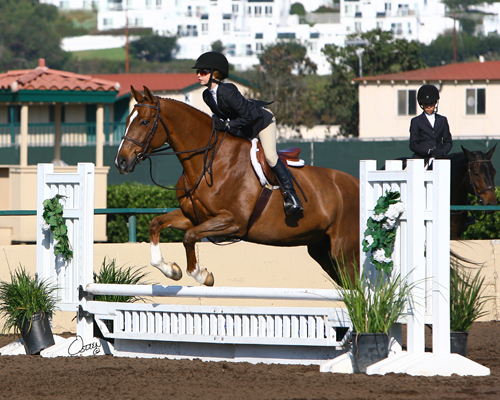 Flower Hill Farms would like to congratulations to all of the riders that competed in 2012. You all worked very hard! Best of wishes in 2013! Congratulations to all of the riders that competed this year! There were so many great rides. Flower Hill had a great show! 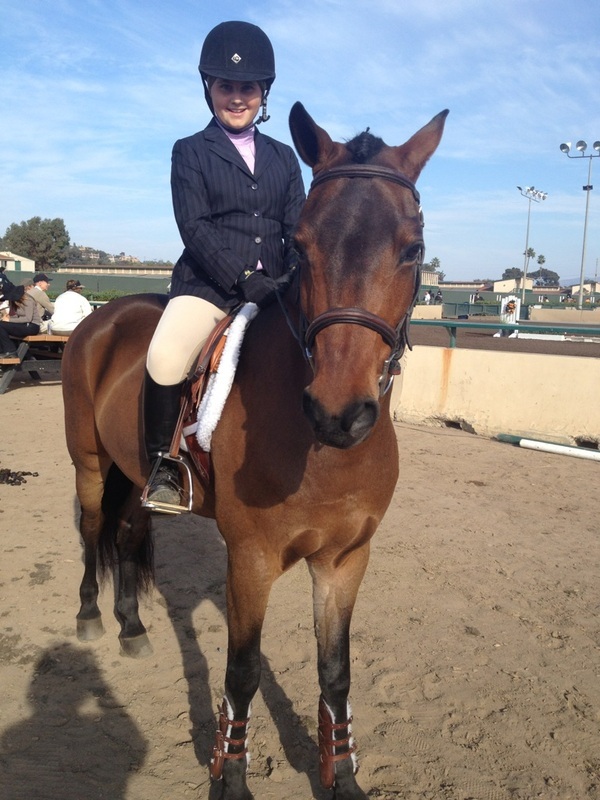 Hanna Vieregg and Just Blue : Champion Low Children's Hunter 13-17 with two scores of 80! 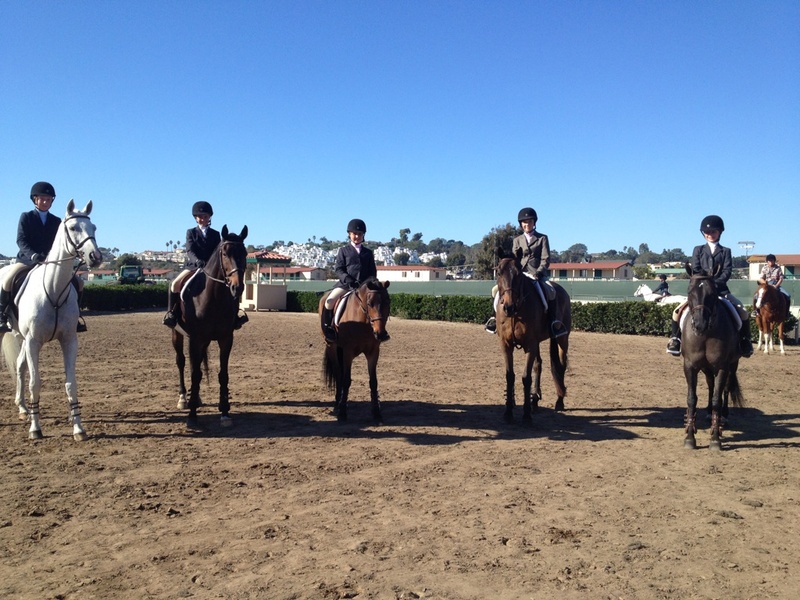 Blue ribbon in their First Round of the Children's Hunters with the score of an 83! Casey Thatcher and Catwalk : Champion in Crossrail Undersaddle and super rounds in the hunter and equitation. Ashley Kent and Buenos Aires: Reserve Champion in the Short Stirrup Hunter Classic and many other great rides in the hunters and equitation. Alexis Sokolov and True North: Champion in the Crossrail Equitation Over Fences and in the Crossrail Equitation on the flat! What a great first Champshow these two had! Jessie Rechs and Heads Up: Reserve Champion in the Maiden Equitation on the Flat and many other great ribbons! Jenna Frakes stepped into the jumpers for only her second time and she rode great. It was great seeing her under the lights in the Grandstand! 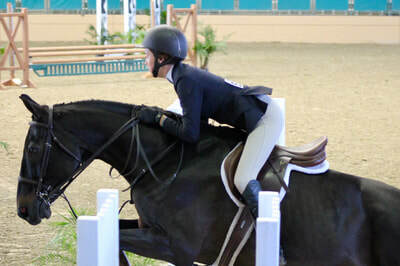 Maggie Farrell and Midnight Snack had great rides in the Crossrail hunters. 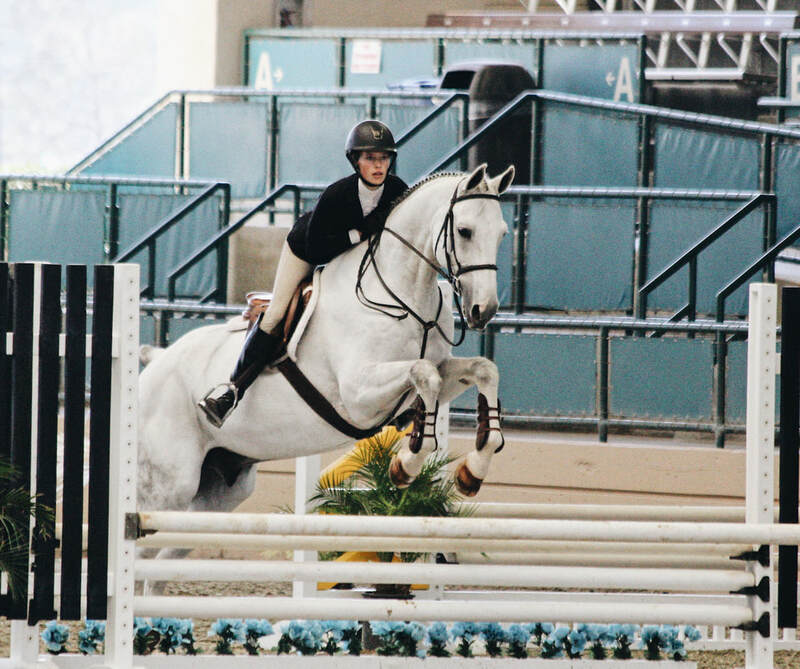 She received a fourth in the Crossrail Equitation Over Fences out of many great riders! Sara Poleno and Cosmopolitan had a great first Championship Show. She ended up 5th in the Crossrail Course Classic out of many, many riders! 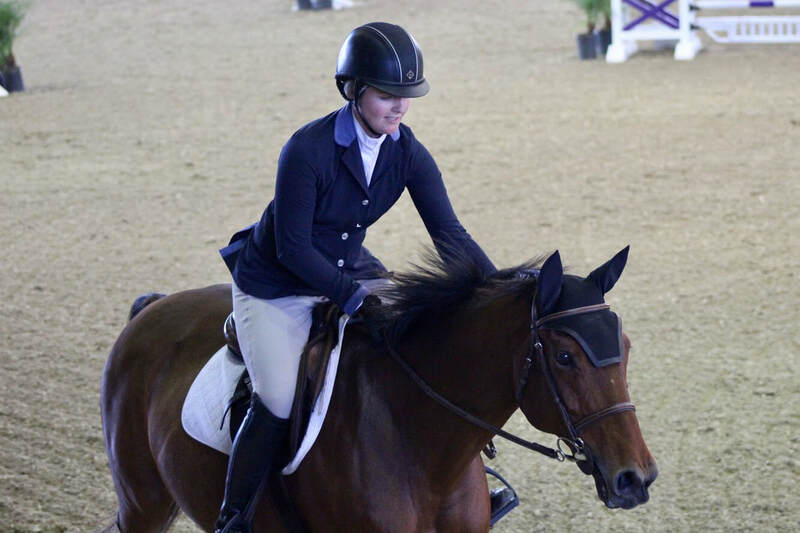 Abby Dumrauf and Serendippity were super stars in the Walk- Trot Division! Abby qualified for her year-end award at this show with her great rides! 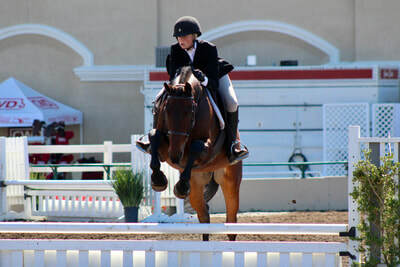 Quintessential was fourth overall Baby Green Hunter. We look forward to next year with Casey Thatcher in the irons! So proud of all of our riders ! You all rode so well and gave 100% , that is all that matters! Getting ready for the Short Stirrup Classic! Jessie Rechs for the lease of Heads Up. We look forward to their 2013 season together in the Green Rider ! 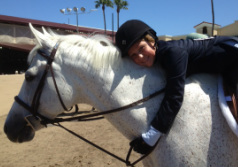 Alexis Sokolov on her new best friend True North. We are so pleased to have this team part of Flower Hill Farms. Christine Wastila on her awesome birthday present, Jasmine! Look for these two in the Crossrails and Short Stirrup this coming season! 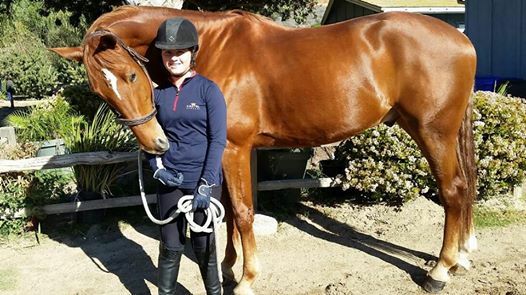 Ashley Kent and the lease of her new partner Buenos Aires! Can't wait to finish out the season with this pair! Hanna Vieregg and her lease of Just Blue ! 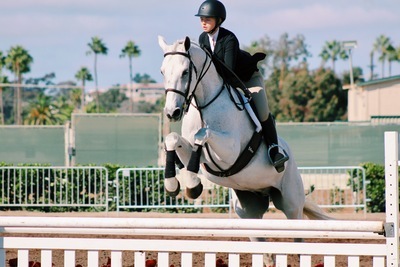 Looking forward to a successful rest of the season in the equitation! A special thanks to EE Show Stables for this great opportunity! The Poleno Family on their purchase of Cosmopolitan! Thank you Madison Franklin at Ridgemar Equestrian for the best first horse they could ask for! We are very lucky to have him. Lolitaa will be seen in the jumpers this year! Thank you Marion Wright for starting this little mare so well. She has a bright future as a jumper! Hannah Montoya on her lease of Longitudes and Attitudes! 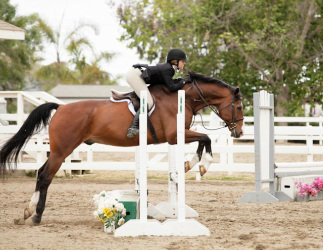 We wish he the best of luck in her first year in the jumpers! A special thanks to Amanda Fudge at CJ Ranches! Hanna Vieregg and Stormin' In Style had lovely rounds and walked away with many ribbons including Reserve Champion in the Green Rider 13-17 Hack! Hannah Montoya and Catwalk was Champion in the Pleasure Horses 12-13 and the Short Stirrup Hack and also Reserve Champion in Short Stirrup Equitation Flat! 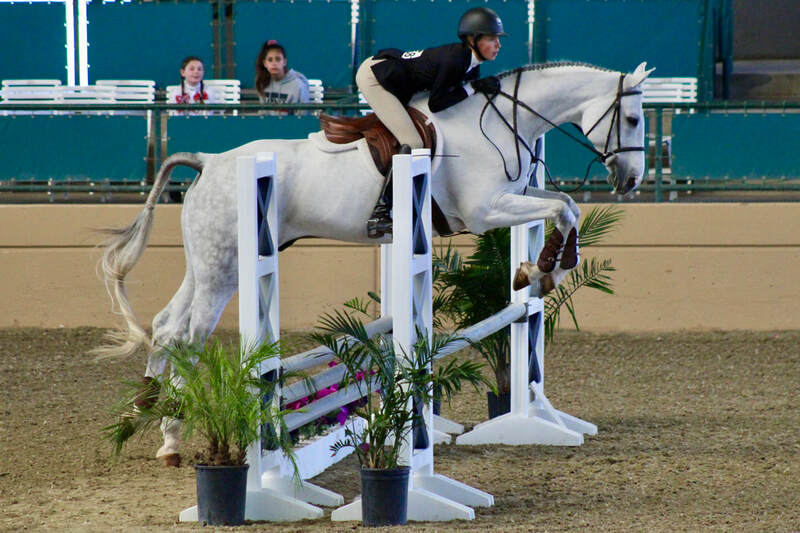 Ellie Delbridge and Midnight Snack had a very successful week with a Champion in the Crossrail Under Saddle and a Reserve in the Crossrail Over Fences and the Long Stirrup Undersaddle! 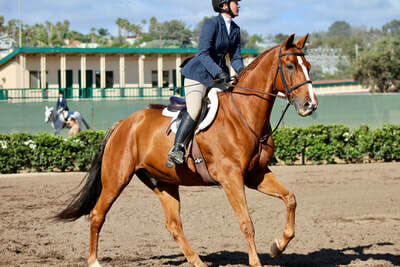 Casey Thatcher and Catwalk was Champion in Walk Trot Pleasure, Equitation and Under Saddle ! She was in good company with her best friend Jessie Rechs and Serendipity that took home the two third's in the Walk Trot! 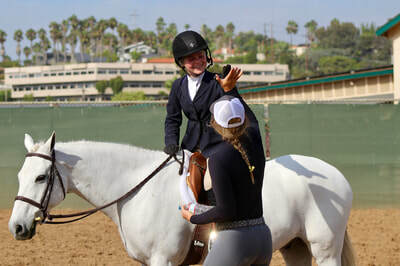 Juliette Joseph and Jenna Frakes did a wonderful job at their frist Championship Show on their horses, Prince Romeo and Story Time, in the Crossrails and Short Stirrup! 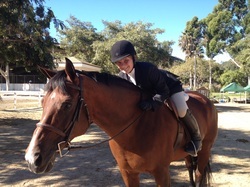 Jessie Rechs and her new pony Serendipity! 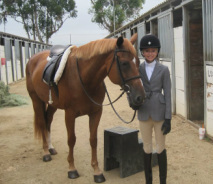 Jessie will begin her first year in the Crossrails and Short Stirrup. 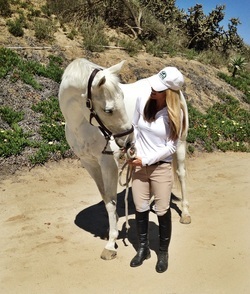 Casey Thatcher and her new friend Catwalk! Looking forward to a great first show season! Thanks to Bethany Unwin at Shoreline Stables for this great addition to our barn!